As Donald Trump presses on building a wall between México and the USA, Televisa is producing a telenovela that tackles immigration head-on. 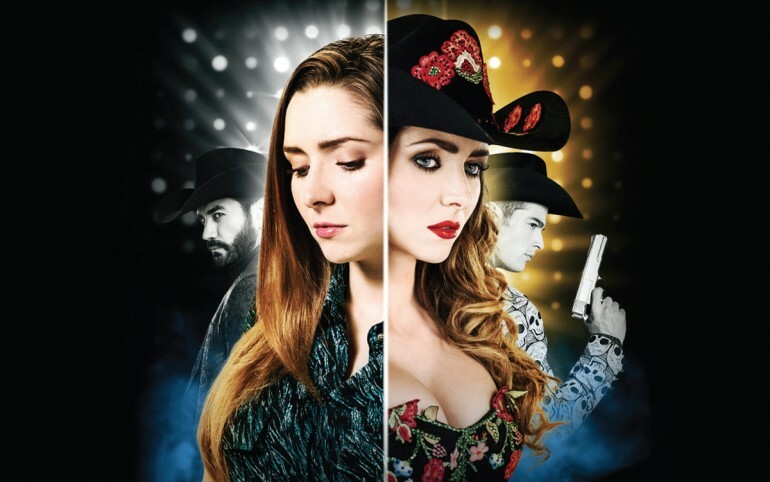 "La Doble Vida De Estela Carrillo" stars Ariadne Díaz, David Zepeda, Danilo Carrera, Africa Zavala, Erika Buenfil and many more. Read the full synopsis down below and tell us what you think! SYNOPSIS: It is the story of a woman who illegally crosses Mexico’s border in order to save her own life and the life of a little girl she masquerades as her daughter, acquiring a fake identity to stay in the USA under the name of Estela Carrillo. She completely ignores this identity will cause her numerous problems and that her past will catch up with her to make her life difficult. Pushed by the circumstances, Estela decides to lie in a trial to free a presumed murder, which puts her at the mercy of a world of ambition and power. Down this road she will also find love and the chance to fulfill her dream of becoming a professional singer, but she must pay the price of this. Ariadne Diaz plays Estella Carrillo, although her real name is Laura Oviedo. She is a loyal, generous, responsible young woman whose dream is to become a Mexican regional music singer. She fell prey easily to Fausto, a handsome guy who promises to help her make a career as a singer. This way, Laura unwillingly joins a prostitution ring where she suffers from humiliations and despicable acts; she also meets Paloma there, who was sold to the same human trafficking ring. Laura and the little girl manage to escape, but at a high cost as they cross the border to the USA illegally and Laura acquires a fake identity, Estela Carrillo’s. She becomes a music teacher, but her name comes to Ryan’s notice, a guy accused of murder who asks her to testify on his behalf. Pushed by the circumstances, she decides to lie and set the murderer free, which puts her at the mercy of a world in which the only way to stay safe is by uncovering who the real Estela Carrillo is. Despite of the situation that brought them together, Estela falls in love with Ryan, but it is Danilo who actually gets to make her overcome the trauma her relationship with Fausto caused in her. David Zepeda is Ryan Cabrera, a passionate and sweet man, but he always represses his feelings, frightened of getting hurt. He owns and is the general manager of Furia Productions. He is accused of committing a murder, but he requests Estela to testify on his behalf and this way he manages to leave jail. Inadvertently, he is attracted to Estela and begins to fall in love with her, but the mysteries and secrets he shares with the real Estela torment his soul and prevent him from truly opening his heart up. He alienates her, but at the same time keeps her close so he can love and protect her. His main goal is to discover who the fake Estela Carrillo really is. Danilo Carrera is Danilo Cabrera, a problem teenager who became a real pain in the neck for his parents. Nevertheless, his attitude changed radically when he started working at Furia Productions. He and his band approached Ryan asking him to be their agent and make them famous. At first, Danilo only felt sexually attracted to Estela, but he eventually learns to love her, to the point of sacrificing himself for her. He admires Estela’s natural talent and he is sure that her collaboration with the band as a choir singer will benefit both of them.